Baked potatoes are great. Potato chips are great too. Fortunately, we live in a world where we can have the best of both worlds. 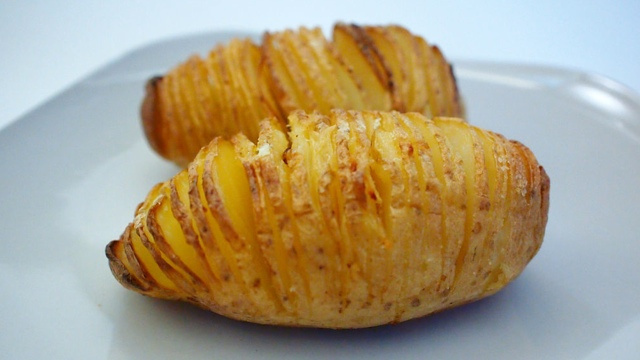 Instructables user rocket discovered that slicing your potato into thin segments before baking can yield crispy edges, and a soft potato center. Just slice thin segments of the potato about 3/4 of the way through, drizzle plenty of butter and salt on the top, and bake at 425° for about 50 minutes. By the time it’s done, you should have a unique, relatively-healthy treat. For added flavor, try stuffing some cheese or bacon into the slices during the baking process.